Overview… the first heir of the House of Abrasax. Balem is also the oldest son of Seraphi Abrasax, the dead matriarch. 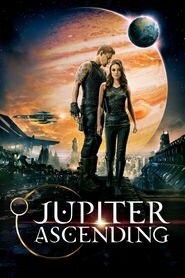 When he learns that his inheritance is in jeopardy because of Jupiter Jones, a genetic recurrence of his mother, Balem hires assassins to kill her. He will stop at nothing to secure his holdings and reap the profits of his inheritance. Personality… merciless, mercurial, and business-minded. He is ruthless when his subordinates fail him or when he doesn’t get what he wants. His outward calm belies moments of extreme temper and deep, mental instability. Jupiter Jones stands in his way, and Balem will ceaselessly pursue her destruction. Balem Abrasax's popularity ranking on CharacTour is #2574 out of 5,000+ characters. See our top-ranked characters and read their profiles. In a universe where human genetic material is the most precious commodity, an impoverished young Earth woman becomes the key to strategic maneuvers and internal strife within a powerful dynasty?